The importance of the Ukrainian gas transportation system (GTS) for the country’s economy and national security cannot be underestimated. Furthermore, the significant role of the GTS in ensuring the transit of natural gas to a number of countries in Central and Southern Europe is also internationally recognized. However, all of this does not change the fact that the GTS — and gas transportation and transit via GTS — is a business existing in the same way as other such businesses exist in Europe and in many other countries around the globe. The complication of Ukraine’s GTS is not only the fact that its business and operation are heavily regulated at the Ukrainian level and now on the European Energy Community level as well, but also the fact that it is at the epicenter of heavy domestic and international geopolitical pressure. The latter, although rather bad luck for GTS as a business, should be accepted as a fact. Ukraine is not the only country where a GTS is subject to politics. It is not unusual for GTS in other countries to be the subject of political attention, and the US-Canada, Trans-Anatolian or Trans-Caspian, Russia-China, and, certainly, Russia-Germany gas pipeline projects are other examples of such GTS projects. Furthermore, Ukraine’s GTS has always been at the epicenter of international geopolitics. However, it is only now that the decisions regarding the GTS, among which is the unbundling of GTS, are of such critical nature that they can determine its future. It would be a mistake to consider the unbundling of the GTS operator only from the legal perspective. The unbundling process and its results have always been and will continue to be subject to commercial, political, inter-state and international relations factors. 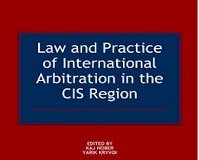 However, as a legal study, this article attempts to discuss legal solutions to all those legal and non-legal factors. Ukrainian GTS: what does it look like now? Probably the best expression to describe the GTS and its operator would be state-centric. Yet the Pipeline Transport Law of 15 May 1996 (the Pipeline Transport Law) provided for the main (trunk) pipeline transport to have an important economic and defence role and to be state-owned. The same concerned NJSC Naftogaz of Ukraine and its subsidiaries involved in transporting gas via the main pipelines and storage of gas in underground gas storages — the privatization of Naftogaz of Ukraine and its subsidiaries is prohibited1. The same principle has been followed in further statutory acts, including in the Law On the Principles of Functioning of Natural Gas Market of 8 July 2010 (the Natural Gas Market Principles Law), which ceased to be effective and in the currently effective Natural Gas Market Law of 5 April 2015 (the Natural Gas Market Law). Throughout Ukraine’s independence since 1991, Naftogaz has, in its various forms, played a key role in the management and operation of the GTS. Presently, the Joint Stock Company Ukrtransgaz (Ukrtransgaz), a 100% subsidiary of Naftogaz, is the transmission (transportation) gas system operator (the TSO) in Ukraine. In fact, Uktransgaz is the only TSO operating in Ukraine in the business of gas transportation, transit and underground storage. As to the GTS and its assets, while remaining in state ownership, they have been transferred to Ukrtransgaz based on special economic management rights. This type of rights, dating back to principles of old Soviet law can be, to a certain extent, compared to the concept of trust existing in the Anglo-Saxon law system. While Ukrtransgaz is using GTS assets and they are accounted on its balance sheet, Ukrtransgaz cannot dispose of the assets, including any rights to use GTS assets. Before Ukraine joined the Treaty establishing the Energy Community of 25 October 2005 (the EC Treaty), the idea of TSO unbundling had not been in the air. Only since joining the EC Treaty in 2011 has Ukraine undertaken to implement the unbundling of the TSO of Ukraine’s GTS. As Naftogaz is a fully integrated oil and gas group of companies, which, in addition to natural gas transportation and storage, is involved among others in exploration and production of oil and gas, oil and gas trading and supply, Ukrtransgaz as the TSO could no longer fulfill the requirement of the EC Treaty as well as of the Natural Gas Market Law that the TSO be independent and not be involved in the business and operational activities that Naftogaz as a group is involved in. Thus, unbundling would be the way to solve this conflict of interest, as is referred to in the European Community and Energy Community legal acts. TSO unbundling can be defined as separation of the activities of the TSO from those activities which are not related to the transmission of natural gas via the TSO. Ukraine’s commitment to implement the TSO unbundling was first provided for in the 2014 amendments to the Natural Gas Market Principles Law, and was later repeated and detailed in the Natural Gas Market Law. On 1 July 2016, the Cabinet of Ministers of Ukraine further issued the Resolution On Separation of Gas Transportation and Storage Activity No.496 (the CMU Resolution No. 496), the aim of which is to establish a detailed plan for the implementation of the unbundling as provided for under the Natural Gas Market Law and Ukraine’s commitments before the Energy Community. In fact, CMU Resolution No. 486 provides not only for a GTS unbundling plan, but also for the reorganization of Naftogaz of Ukraine. 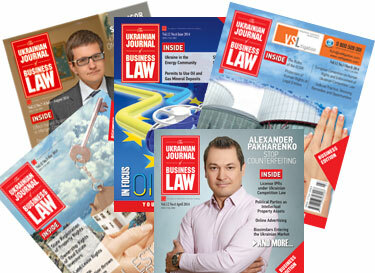 In this regard, not only the state authorities have to cooperate and consult with the Energy Community Secretariat, but also the outcome of arbitration cases pending before the Arbitration Institute of the Stockholm Chamber of Commerce and involving Naftogaz of Ukraine and Russia’s Gazprom should be taken into account. Finally on this point, the unbundling process is considered to be a way of involving so-called GTS Partner(s) — a TSO or TSOs from the Energy Community countries or the United States of America — to jointly manage and operate the Ukrainian GTS. There are three major models for TSO unbundling that are followed in various countries. These models are: (i) Ownership Unbundling (OU) model, (ii) Independent System Operator (ISO) model, and (iii) Independent Transmission Operator (ITO) model. The OU model provides for clear cut separation of both the GTS assets, which are to be owned by the TSO, and of the management and control over the TSO. The latter may not be held by a company (or companies) involved in activities that cannot be conducted together with gas transmission activities. The ISO model on the other hand provides for a fully unbundled TSO, save that such TSO does not own the GTS assets, which remain in the ownership of an integrated company. Finally, the ITO model provides for the TSO to own the GTS assets, but at the same time to remain within the vertically-integrated company, with special management and operational rules ensuring the independence of the TSO from that vertically-integrated company. It is the preference of both the Natural Gas Market Law and of the Energy Community Secretariat that the OU model be implemented in Ukraine. The Energy Community Secretariat considers this model “the most effective one which allows promoting investments in natural gas infrastructure in a non-discriminatory way, fair access to the network for the new entrants and transparency in the market”2. However, as one of the key elements of the OU model is the ownership of GTS assets by the TSO, and considering the Ukrainian legislation principle for GTS assets to remain in state ownership, the possibility for the implementation of this principle is in question. The Natural Gas Market Law also provides for the option of the ISO model’s implementation for the GTS unbundling. In particular, the requirement for ownership of GTS assets shall not be applicable if until or as of 6 October 2011 the GTS had been within the vertically-integrated organization, and the owner of the GTS had determined a business entity entitled to apply for the certification as TSO3. Yet, when defining the features of the ISO model option, the Natural Gas Market Law does not refer to the TSO “owning the GTS assets” (i.e. holding title to the GTS) but rather “the GTS being within the vertically-integrated organization” and despite the law trying to play a little bit with legal terms and considering the state’s, but not the TSO’s, ownership over the GTS assets, it is not clear if the option of unbundling based on such terms would still meet the features of the ISO model. 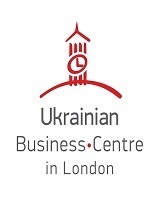 Furthermore, considering that the above idea of the ISO model presumes that Ukrtransgaz would continue acting as TSO, the Energy Community Secretariat is rather critical of this idea referring to the fact that Ukrtransgaz “has never been designated to be an independent TSO separate from other interests in the market. Moreover, not all of Ukrtransgaz’s activities, assets and liabilities (whether based on law or contract) are related to its natural gas transmission operations”4. While it is clear that the option of Ukrtransgaz remaining the TSO for the Ukrainian GTS is not the preferred option at the European Energy Community level, and thus, the same conclusion can be made about the ISO model, certain compromises can be achieved with respect to GTS ownership. In this regard, the European Commission has developed a practice of accepting so-called quasi-ownership of GTS assets by a TSO. An example of such quasi-ownership would be the lease or concession of GTS assets by TSOs. For a quasi-ownership mechanism to meet the Energy Community standards, the three rights of a TSO with respect to the GTS must include the following: (i) GTS assets must be accountable on the balance sheet of a TSO, (ii) the TSO should be able to fully and independently fulfill its tasks with respect to planning, construction, operation and financing of the GTS, (iii) upon expiry of the rights, the state, as the owner of GTS assets, must compensate the TSO with the monetary equivalent of the corresponding value of the concession assets5. The Government of Ukraine has made its first moves towards creating an independent TSO, and for this purpose a new PJSC Main Gas Pipelines of Ukraine (MGU) has been incorporated. However, unless it undergoes significant changes, the Ukrainian law on leases and concessions of state-owned assets will not meet the above requirement for the GTS quasi-ownership. Even if MGU received the economic management rights to the GTS (i.e. the same rights as Ukrtransgaz currently possesses), it would not be entirely clear if MGU could qualify for becoming the TSO as envisaged by both the Natural Gas Market Law and the EC Treaty. One should not forget that one of the purposes of TSO unbundling is the involvement of a GTS Partner. Among others, the role and purpose of the GTS Partner would be to ensure that the necessary financing to maintain, develop and modernize the Ukrainian GTS is secured. It is doubtful that the proceeds from the gas transportation operations alone would be sufficient for a TSO to secure such financing whether in equity or debt. If the rights of the future TSO (whether or not it will include a GTS Partner) for the GTS assets are not clear and strong, attracting such financing may not be feasible. There is no doubt that the value placed on the future GTS Partner includes ensuring that the Ukrainian GTS continues to be used for the transit of Gazprom’s pipeline gas to EU countries. Most likely, TSOs from various EU countries are considering the possibility of becoming GTS Partners in Ukraine from the same perspective too. In this regard, it has already been reported by various media that an option for splitting the Ukrainian GTS into two parts — one to serve cross-border transit, and the other to serve domestic transportation — was raised. While it may not be unusual for some EU countries to have several GTS and thus several TSOs, this has not yet been the case for Ukraine. Furthermore, the question arises if it is at all possible to have more than one GTS under Ukrainian law. Historically, Ukrainian law operated with the specific definition of “the Single [Unified] Gas Transportation System of Ukraine”. This definition was referred to in the old (no longer effective) Natural Gas Market Principles Law, which was consequently replaced by the Natural Gas Market Law. The definition of the Single [Unified] Gas Transportation System, under the Natural Gas Market Principles Law, included both the GTS and the Gas Distribution System, as both of these terms have been defined in the new Natural Gas Market Law. The Natural Gas Market Law no longer refers to the term “Unified / Single” when referring to the gas transportation or distribution systems. Furthermore, a number of Natural Gas Market Law provisions refer to multiple TSOs and multiple gas transportation systems. For example, the definition of the “cross-border gas pipeline” refers to gas transportation systems (in plural). Article 4.3(2) of the Natural Gas Market Law provides that the competence of a Regulator is certification of “operators of gas transportation systems” (all worded in the plural). Article 4.3(18) provides that the competence of a Regulator is supervision of the operators (in plural) of the gas transportation system. Article 22 of the Natural Gas Market Law which provides for the rights and obligations of the TSO, in its section 6, states that “an operator of the gas transportation system shall cooperate with other operators of gas transportation systems of Ukraine, and with operators of gas transportation systems of other countries”. While the Oil and Gas Law of 12 July 2001 (the Oil and Gas Law) still includes among its provisions the term Single [Unified] Gas Transportation System6, most likely this is because the provisions of the Oil and Gas Law have not been updated to take into account and comply with the more recent Natural Gas Market Law. Furthermore, when it comes to the GTS, it is the Natural Gas Market Law, and not the Oil and Gas Law, which is a special law for GTS related matters, that has priority of interpretation in case of discrepancies with other, and especially older, statutory acts. The provisions of the Natural Gas Market Law allow us to conclude that it is possible under the current legal framework to have a situation where there would be more than one GTS and more than one TSO. While Ukrainian law may still require some greater detail when it comes to the mechanics for the implementation of this novelty, the whole principle should not be considered as illegitimate. The title of this article deliberately refers to the unbundling of the Ukrainian gas transportation system; although the term “unbundling” is more appropriately used with respect to the transportation gas system’s operators. As a matter of fact, both the GTS and TSO require unbundling. This need is not driven solely by the requirements of Ukrainian law and Ukraine’s commitments under the EC Treaty. Foremost, these needs are driven by the current competitive environment of the European gas transportation market, of which Ukraine is part. The gas transportation and transit business is indeed a long-term business, requiring long-term-minded decisions. While some twenty years ago Ukraine could very much enjoy a monopoly on the transit of gas from Russia to European countries, this is not the case any longer. Not only is the supplier of gas (i.e. Gazprom) looking for diversification in its routes to the countries that used to be the clients of Ukraine’s gas transit services, but those clients are also looking for ways to diversify their gas transit routes. Competition in this business will only grow. The current legal framework, and especially the Natural Gas Market Law, although in need of some further clarification and improvements, is already a sufficient basis to start with implementing the process of TSO unbundling. The implementation of this process will better place Ukraine in its effort to attract a GTS Partner and for a new TSO to work out the terms of gas transit via Ukraine’s GTS. 1 Article 7 of the Natural Gas Market Law. 2 The Energy Community Secretariat Conditional Approval of the Unbundling Model for the Transmission System Operator of Natural Gas in Ukraine (the Conditional Approval), of 6 May 2016, Section 2.1. 3 Article 27 of the Natural Gas Market Law. 4 Conditional Approval, Section 2.3(a). 6 Article 44 of the Oil and Gas Law.